This November Sufjan Stevens will release ‘Silver & Gold: Songs For Christmas, Vols. 6-10 ‘. This is the follow-up to his fantastic festive ‘Songs For Christmas I-V’ which was released in 2006. That was a pretty lush package in itself but the new volume is even more packed with goodies. Too many goodies in fact to list here, so instead go to his website for full details and track listings. Frankly this is the best music related news I’ve heard in ages. If there is one thing we have come to expect from Sufjan Stevens it’s the unexpected. Christian folk album? Tick. An instrumental album about a stretch of highway in New York? Tick. A five disc Christmas project? Tick. How about 50 albums for 50 states? Well, he got two completed. He is defined by his indefinability, he makes Bowie look utterly predictable. So it was no great surprise to learn that his latest offering is electronica influenced and much more personal than anything he’s done before. Despite all of the above Sufjan Stevens is a very recognizable artist, largely thanks to the lyrical themes and musical motifs that join the dots of his shape shifting picture. There is his stunning voice for starters, and then there is the banjo, the woodwind instruments, the religious imagery, the constant regret and the epic arrangements. All of the above feature on ‘The Age of Adz’ to a certain degree, and some songs definitely recall Sufjan’s earlier work, but most of this material sounds brand spanking new. The album opener ‘Futile Devices’ sounds the most like Folky Sufjan, with its quietly strummed guitar and poignant lyrics that blur the line between love and friendship. This song is my favourite thing on here but it’s somewhat of a red hearing, as the rest of the album (apart from the odd moment) is electronic and could by no definition be described as ‘folk music’. The best way to describe ‘The Age of Adz’ is to say that it’s paranoid. The drum beats are pulsating and they almost flicker from channel to channel which is rather disorienting. In many ways the album reminds me of a maximalist version of Kid A, they work from the same electronic template and they are both lyrically unsure, regretful and tense. The difference is that Sufjan coats his beats with an orchestra (at times) and at the very least the odd flute or choir. Lyrically it ditches his previous habit for storytelling and instead takes us on a personal exploration of love with no concepts or conceits to hide behind. There is nothing quite as rich as ‘Romulus’ or ‘Casmir Pulaski Day’ but the lyrics are still great, particularly on the slower songs. It may be a very complex album by Sufjan’s standards, but at least lyrically, this is pretty straightforward and emotive stuff. The sheer length and ambition of this record is both its saving grace and it’s downfall. most songs easily pass the five-minute mark and more often than not they only come alive at the very end. The title track is pretty laborious until about five minutes in where Sufjan reverts back to his acoustic guitar – it’s a standout moment. It’s also worth sticking around till the end of ‘Get Real, Get Right’ to hear the sweeping conclusion. Like every other Sufjan album there is the odd bit of filler, ‘Bad Communication’ being one, and like every other Sufjan album it is far too long and intense. You have to wonder how exactly Sufjan wants you to listen to ‘The Age of Adz’, I suppose most people listen to their music these days through earphones or on Car stereos, but that wont do for much of this album, in particular the album’s final track. The only way you can really listen to ‘Impossible Soul’ is to sit down, with something alcoholic close at hand, and let the music wash over you. Sure it won’t make much sense and it won’t be that exciting but it will certainly make you feel sophisticated and surely that was Sufjan’s intention in creating this rather pretentious 25 minute long odyssey? Don’t get me wrong, it’s very well crafted and extremely well written, but it does kind of feel redundant tagged onto the end of the album, surely it would have been better released on its own? 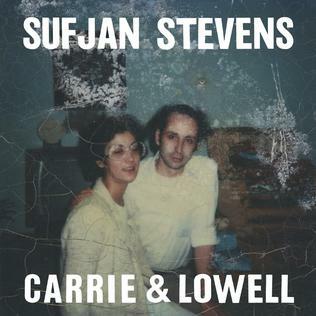 You really have to invest time in this album, just as you always have with Sufjan. This is a long and often difficult record but there is certainly gold at the end of the rainbow and the journey itself is constantly fascinating. Ok, so after waiting for 5 years for this album my conclusion has to be that it’s a bit of a disappointment simply because it’s not the work of genius his last two proper albums were, but my expectations shouldn’t detract from what is a very good piece of work. This is an ambitious and challenging record that is often more frustrating than it is enjoyable but it’s always an awe-inspiring listen.